11.14.17 | Anti-Bullying Blog | Comment? The Northern Ireland Anti-Bullying Forum, in conjunction with the Education Authority, has developed a fantastic video resource for Anti-Bullying Week 2017. 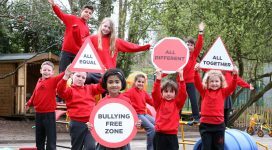 The video focuses on the theme “All Equal, All Different, All Together” and is aimed at Key Stage 2 level pupils to help explain what is bullying, how to spot it, who to tell and how to be empowered in anti-bullying practice. The programme features an interview with the NIABF Regional Coordinator, Rosanna Jack, by the Newsdesk anchor, Amelia Deehan. The programme contains short films that explains the impact of bullying behaviours on children as well as encouraging the bystander to act and stand up for others. 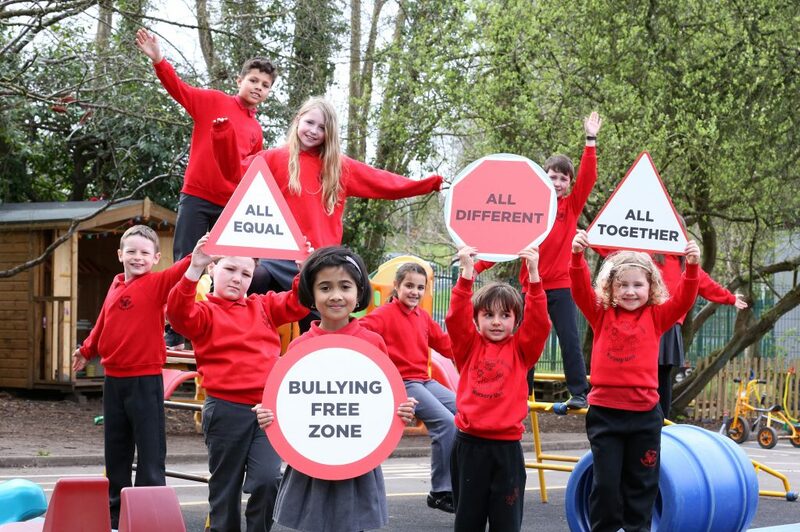 Importantly the programme features clips of some of the NIABF Anti-Bullying Week Competition winning entries including St John’s Primary School Dernaflaw and Victoria College Preparatory School, as well as a great piece from Cedar Integrated Primary School filmed by EATV. It is a fantastic resource of children explaining to other children that it is important to learn about, accept and celebrate difference in others. You can see the video by clicking below.